On August 9, 1757, Elizabeth Schuyler was born to the wealthy Philip Schuyler and Catherine Van Rensselaer Schuyler in Albany, New York. Elizabeth, or Eliza as she was often called, was their second child and daughter. She had seven siblings that lived to adulthood. Both of her parents came from wealthy Dutch families that had settled in Albany. Eliza’s mother taught her reading and sewing and she attended the Reformed Dutch Church of Albany. Eliza was noted to be a bit of a tomboy growing up and was strong-willed and impulsive. When she was a girl, Eliza even went with her father to a Six Nations meeting. Eliza also had the opportunity to meet Benjamin Franklin, who stayed at the Schuyler Mansion while traveling for a bit. In Morristown, New Jersey in early 1780, Eliza met Alexander Hamilton. Eliza was staying with her Aunt Gertrude Schuyler Cochran. Hamilton had been stationed in Morristown. The two had met briefly before when Hamilton ate at the Schuyler Mansion, but that had been it. 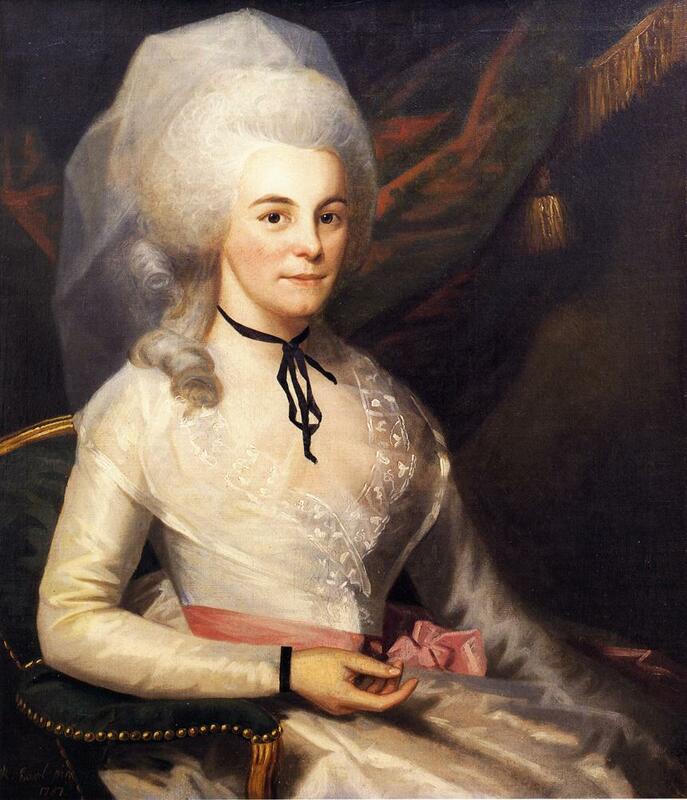 Eliza also befriended George Washington’s wife, Martha Washington, while in New Jersey. After leaving Morristown, Eliza remained close with Hamilton, the two often writing letters back and forth. They were engaged in early April with her father’s blessing. On December 14, 1780 at the Schuyler Mansion, Alexander Hamilton and Elizabeth Schuyler were married. They had met not even a year before. Shortly after their honeymoon, Hamilton and Washington were stationed in New Windsor. Eliza left not long after Hamilton and joined him in New Windsor. Eliza and Martha Washington’s friendship only grew as they were there, often entertaining the officers their husbands’ worked alongside. But, Washington and Hamilton soon had a falling out. Eliza and Hamilton went back to Albany. They did not stay for long, returning to New Windsor and living across the river from the headquarters there. As Hamilton’s political career grew, Eliza aided him in his writing. Along with that, she also worked hard creating their home. Soon, Eliza had to move back to Albany once more. She found out she was pregnant after arriving in Albany. Their first child and son was born the next year, January 22, 1782, to be exact. He was named Philip, after his grandfather. While Hamilton was away, the two continued to write many letters back and forth. When the British tried to attack near the Schuyler Mansion, the Schuyler family was luckily unharmed. This was due to the quick thinking of Peggy, Eliza’s younger sister. Alexander was finally able to come back to Eliza after the Battle of Yorktown. They stayed in Albany then later moved to New York City nearly two years later. Around the same time, Eliza’s older sister, Angelica, who she was very close with, left for Europe with her husband. On September 25, 1784, Eliza and Alexander’s second child, and first daughter, was born. While Philip was named for Eliza’s father, she was named for Eliza’s sister Angelica. Their third child and second son, Alexander Hamilton Jr., was born nearly two years later on May 16, 1786. When Eliza was believed to be pregnant with their fourth child, her portrait was done by Ralph Earl. Earl had been trying to earn enough money to buy his way out of jail. On April 14, 1788, James Alexander Hamilton was born. Eliza also adopted two-year old Fanny Antill around the same time when Fanny’s mother died. Fanny lived with the family or eight years to come after her father had died, too. She left the Hamilton household at twelve years old to live with her newly married sister. The Hamiltons were noted to be a very social family. Alexander and Eliza often attended balls and the theatre. Eliza and Alexander even hosted a dinner for Thomas Jefferson in 1790 when he arrived back home to the U.S. from Paris. When Hamilton was appointed by George Washington as the first Secretary of the Treasury on September 11, 1789, her social life was noted to have increased even more so. Eliza was able to balance her social life while taking care of and raising her children and managing the Hamilton household. Eliza only continued to aid her husband in his political career and writings. She even helped him with the fifty-one essays he contributed to the Federalist Papers. Then, on August 22, 1792, their fifth child, John Church Hamilton, was born. Over the next few years the family moved often between Albany, New York, and Philadelphia. In 1794, Eliza even suffered through a miscarriage. The affair between Maria Reynolds, married to James Reynolds, and Alexander Hamilton surfaced in 1797. Eliza did not believe that her husband had actually had an affair. The Reynolds Pamphlets were soon published. Eliza had been pregnant with their sixth child when the papers were published. William Stephen was later born on August 4, 1797. They stayed married, however. Their seventh child and second daughter, Elizabeth Hamilton, was born November 20, 1799. Philip, their eldest son, was soon shot by George I. Eacker during a duel on November 23, 1801. Philip had been the one to challenge Eacker because of a speech given that criticized Alexander Hamilton. He died at Angelica and John Church’s home with his parents by his side. The next year on June 1, 1802, Philip Hamilton, Eliza and Alexander’s eighth and final child, was born. He was named for his brother. 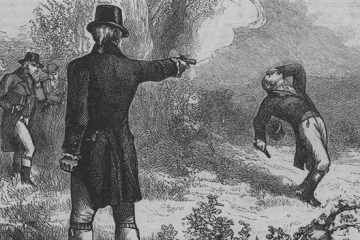 Two years later on July 12, 1804, Hamilton died during a duel with Aaron Burr. Eliza was beside him as he died. Soon after, Philip Schuyler died. Eliza’s mother had died a year before. Eliza was left to pay off her husband’s debts. Their home was lost in a public auction shortly after Alexander’s death. Luckily, Eliza was able to purchase it back later on. Whenever critics wrote poorly about Hamilton, Eliza was there to defend him. A year after Hamilton’s death, Eliza also joined the Society for the Relief of Poor Widows with Small Children in 1805. She, along with many other women, founded the Orphan Asylum Society, the first orphanage in New York, a year later. Originally, Eliza was second directress/vice-president, but became first directress in 1821. Eliza did not leave the orphanage until 1848, twenty-seven years later, when she left to live with her daughter, Elizabeth Hamilton Holly, who had been recently widowed. 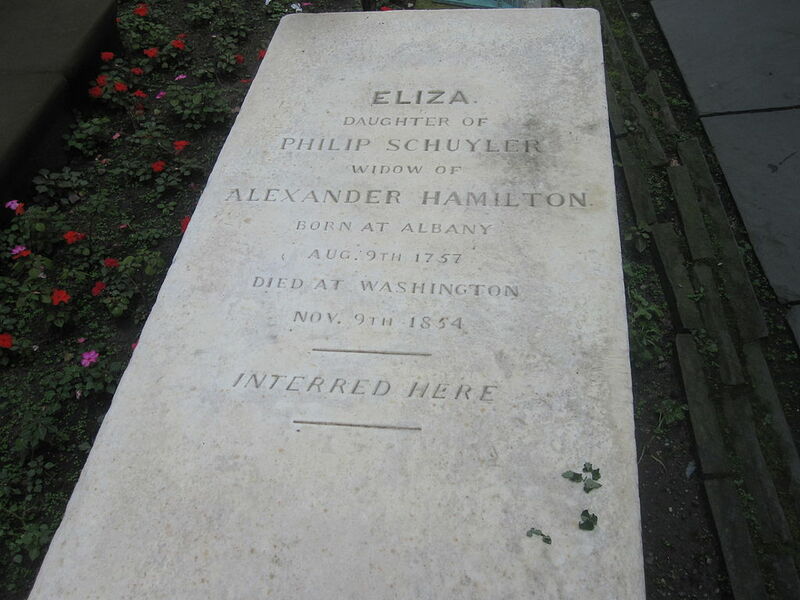 Dedicated to preserving his legacy, Eliza, with the help of her son John Church Hamilton, organized all of Hamilton’s letters, papers, and writings. She worked hard to have his biography and writings published. Eliza even wore a small package around her neck. It contained pieces from a sonnet that Alexander had written her when they had been newly married. Eliza, during her nineties, moved to Washington D.C. to help Dolley Madison who was raising money for the Washington Monument. She was very dedicated to charity work throughout her lifetime. On November 9, 1854 at ninety-seven, Eliza died in Washington D.C. Eliza was buried beside her husband and sister, Angelica, in Trinity Church in New York.